Or maybe I’ll call you. 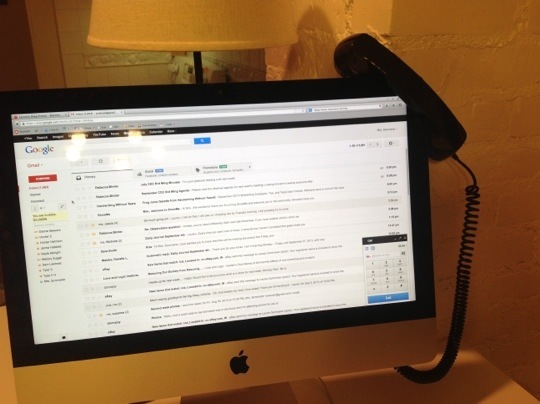 The second is that you can make phone calls from your gmail account when you’re on a computer. (It won’t work with an iPad.) The problem is that if you just use your computer, it is a very echo-y call. Using headphones helps. The third: My headphones are ruined. The fourth: Y’know those handsets they sell that you can plug into your cell phone??? …… And the heavens aligned…. Look at that handy hang-up spot! I certainly can’t leave it there or Wally will eat it, but the handset is so comfortable! And the call is free! The only downside is that if you have caller ID, this looks like a call from California. So, if you get a call from there, it’s probably not me, because I never call anyone. You can’t use that title without linking to this video. I’ve never seen that. Ha! The Bruce Wayne is spot on. 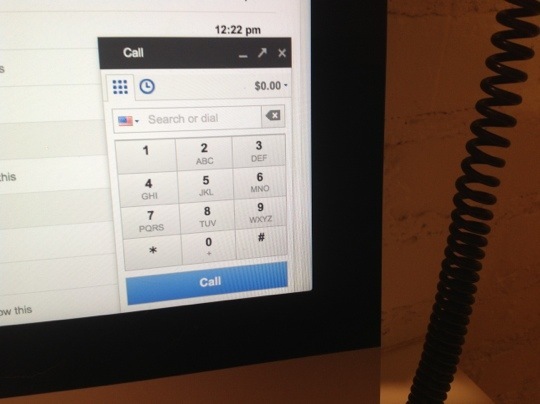 On the picture that shows the keypad, there is a money counter. What is that for? Are some calls not free, or are they showing you how much you’ve saved by using their free service? There is a charge for international calls. I guess I won’t be calling France anytime soon. And that attitude is exactly the reason my phone never rings. I didn’t know any of this. You can call from your computer? And it’s free? And you can hook a handset up to your computer? Thanks for keeping me up with the times.